Dr. Tyler Smardzewski D.C. of Summit Chiropractic provides complete chiropractic care including nutritional consultation, proper exercise, and rehabilitation. Dr. Tyler Smardzewski, a Harford County native, has been involved in chiropractic care since early childhood. After being a chiropractic patient and seeing firsthand the powerful results, becoming a chiropractor was the natural fit. Graduating from Towson University with a degree in Biology in 2007, he then attended Palmer College of Chiropractic graduating in 2011. 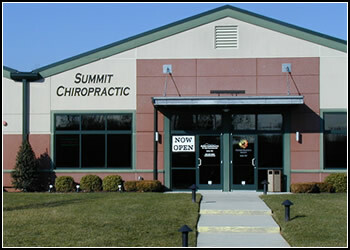 In 2012-2013, he worked as an Associate Chiropractor in Columbia, MD. Summit Chiropractic is the fulfillment of his life’s journey to bring good health to others through chiropractic care as it has for himself. It is conveniently located in the SciTech Center at 2129 Pulaski Highway (Rt. 40), Havre de Grace, MD 21078.